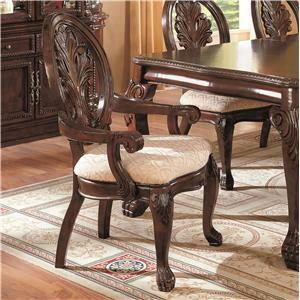 Host your next family gathering with the inviting detailed intricacies of the rectangular dining table and chair set. 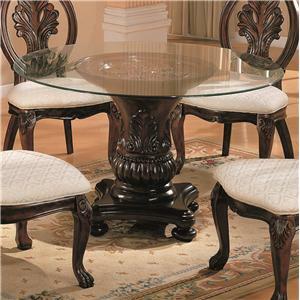 The table includes one 24-inch leaf that extends this table to 108-inches. 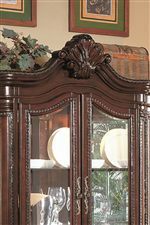 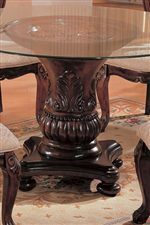 The double pedestal base and edging of the table feature extravagant carvings, while a sculpted back and cabriole legs of the dining chairs complete an unforgettable pair. 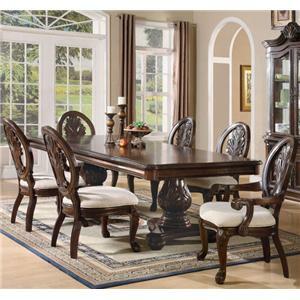 The Tabitha 7 Piece Dining Set by Coaster is available in the area from BigFurnitureWebsite. 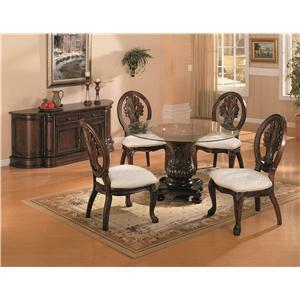 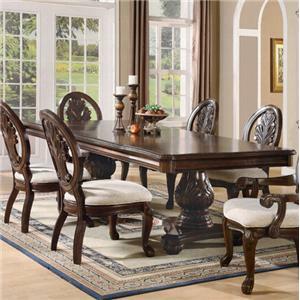 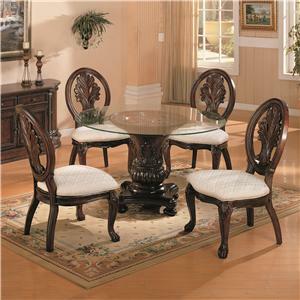 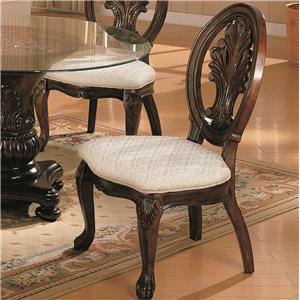 101037 Rectangular Dining Table 1 47" 84" 31"
101032 Dining Side Chair 4 25" 26" 45"
101033 Dining Arm Chair 2 26.5" 26" 41"
The Tabitha collection is a great option if you are looking for Traditional furniture in the area. 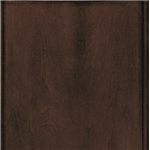 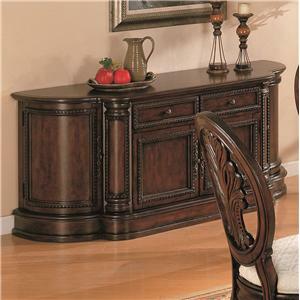 Browse other items in the Tabitha collection from BigFurnitureWebsite in the area.